Informatica PowerCenter is mostly referred as Informatica which is a powerful ETL/Data Integration tool. It provides multi-faceted utilities such as data masking, data replica, data virtualization, data quality, and many more. This tutorial explains about various types of transformations that Informatica supports in its ETL process and their categorization. 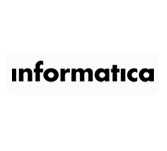 Informatica tutorial is useful for Business Intelligence Professionals or ETL Developers, business intelligence professionals, Project Managers, Database Professionals, Mainframe Professionals, SQL Developers and entry-level and advanced database administrators in SQL. To learn this tutorial one must have basic knowledge of SQL, databases and data warehousing will be an added advantage.